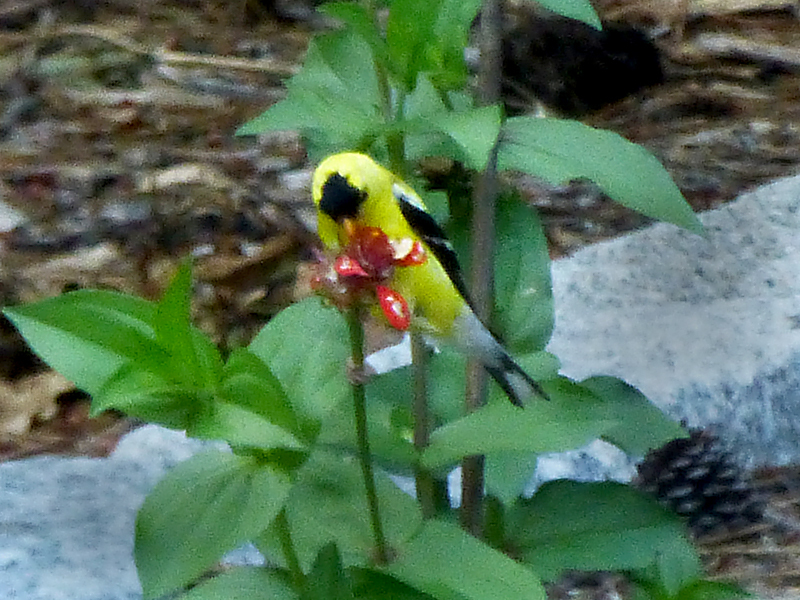 Guess Who’s Eating My Zinnias On Cape Cod! The beautiful Zinnias in my backyard garden have really taken a hit this summer. From slugs to insects I have sprinkled and sprayed, hoping for a nice bouquet in my kitchen before summer’s end. And then a couple of weeks ago I noticed that the flowers themselves, not the leaves, were getting destroyed. What would do that? I guessed it was a rabbit or deer so I put some smelly pellets out to deter them. But he flowers still kept getting eaten… petal by petal. 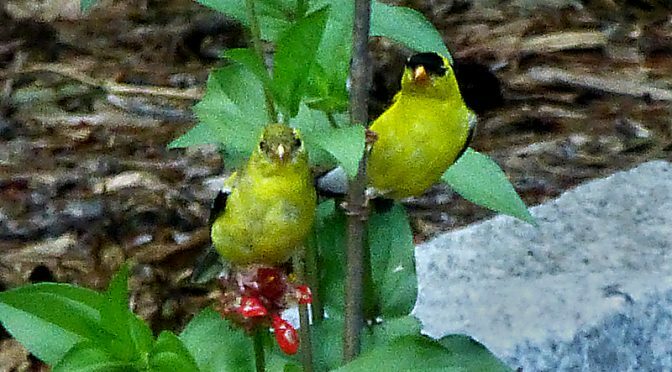 And then I looked out the window and saw these two little American Goldfinches flitting from Zinnia to Zinnia enjoying each and every petal. Caught! So now I cut the flowers and bring them inside just as they bloom and the little Goldfinches can have the others to feast on. Look at those two smiling at me in the first photograph! Ha! The finches have clearly mistaken the zinnias as part of the farm to table buffet at the Tulin Resort & Spa with Bountiful Buffet! Linda O. on Gorgeous Early Morn At Boat Meadow Beach On Cape Cod!